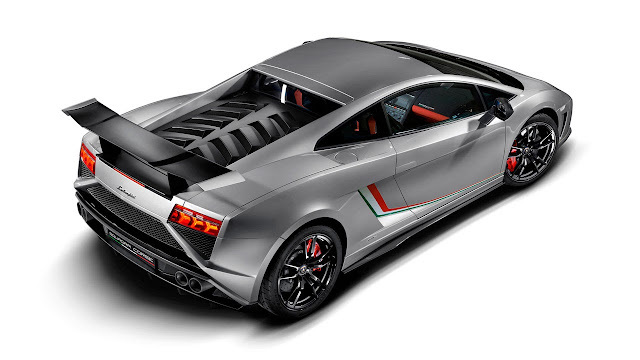 The Gallardo Squadra Corse shows its ultimate racing performance even in its exterior design – clearly attesting its committment to its Italian homeland. A decal strip along the flank displays green, white and red, the colors of the Italian flag. The Squadra Corse is available in Giallo Midas (yellow), Bianco Monocerus (white), Grigio Thalasso (grey) and in Rosso Mars (red). 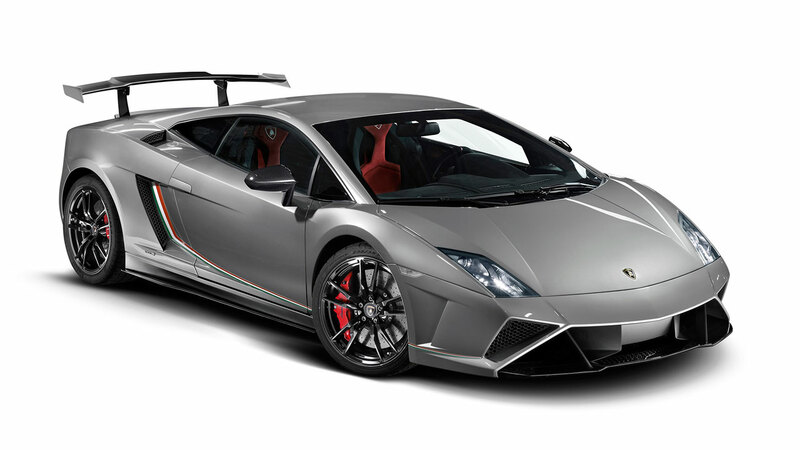 The exterior look of the Gallardo Squadra Corse is perfectly accented with a matte black finish on the large rear wing with contrasts in body color. The hood, front air intakes, rear diffuser and 19-inch forged wheels are painted in high-gloss black, while the mighty brakes callipers are available in red, black or yellow.